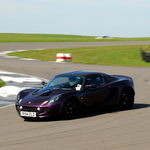 The place to "speak geek"
I’ve the 220 Cup Elise, already with 2bluar full system, dyno’ed at ~240bhp with no remap. Looking for about another 20bhp. Anecdotally, smaller supercharger pulley and updated injectors would be the sensible next step, presumably then needing a remap. Sounds about right? Suggestions or experience anyone? My 220 cup didn’t have one fitted, I didn’t notice much in way of performance increase after I fitted TRD, but it sounded nicer. Might look at this once my 2bular is on. Does the TRD have a serviceable filter or still paper throwaway? I am pretty sure my car has the TRD air box on it - if you have a standard one and want to swap, happy to do so FOC. Given we're both at Craig's on a fairly regular basis I am sure I can arrange to have my car in when yours is there if you want to swap. Let me double check that it does actually have the TRD box fitted first though!! Are you thinking of ECU remap also? Otherwise you might struggle to get the most out of the increased boost pressure (even with larger injectors). How mappable is the ECU then - and is it Lotus or Yota? On ECU, I’ve heard (from Craig and Jim at 2bular) that’s it’s a bugger. That may be where it all falls down. Another of the SLS guys was along at Croft today and helped me out with my engine rev limit issue; he’s had serious mapping work done with great success by Ecotune in Glasgow, who apparently know their software, but not for Lotus/Toyota. Maybe a case of custom map development, which might not be cheap. Will see what they have to say. Need to not over do-it, or it’ll put me into the bottom of the next power/weight category for next year’s SLS! If previous models are anything to go by then the ECU is a Lotus bespoke unit which they then spend a considerable time tuning the maps for each model. Not come across anyone that has managed to remap the standard ECU but others may know different. Ecotune's rolling road has a bit of a reputation for being optimistic with it's figures. Basically what I was thinking of with new pulley, although looks like they didn’t need uprated injectors. I already have a 2bular full system, but no ideal if that would be compatible with their map. Proves it’s possible anyway. I am sure I read somewhere that PB Racing do a 300bhp kit for the S3. My S3 came with the power pack which has a TRD Airbox and a Sports Exhaust. Komotec and others do provide maps for ECUs. I just think that once the MIL comes on you are stuck between a rock and a hard place - Lotus will disown you with non-standard ECU map, Komotec will not be easy to hold to account (no doubt they say their mods are track only, tape over the MIL ...). No doubt they'll be even less interested when the s/c sh*t itself into your engine ... ask them what their warranty is and whether it covers track use. Even the 265 kit isn't really going to be *that* much faster than the 220 and I think this is even more true at KH where the top speed is quite low - it's not like you'll hit 120mph in one car and 130mph in the other car. More likely if the power increase really is 30bhp = +14% then assuming your current top speed is 120mph at the end of the pit straight you'll be doing 125 and maybe that'll be worth 0.5s/lap if you're lucky (remember you'll need to brake that bit earlier too). You might be better off spending the money on data logging and working out where to make up the time methodically. it's not like you'll hit 120mph in one car and 130mph in the other car. Don't know about that Robin, KH is known as a power circuit and certainly up the hill it will make a difference. Not looking for leaps-and-bounds (which may push me into next group anyhow), but from where I'm sitting 0.5 sec a lap I quite a lot! I recall one SLS round this year when 3 of us were within hundredths! 10-15% better power is just what I'm after. Allegedly there's a programmable ECU on it's way, so that plus just buying a SC pully may be the way to go. Can't beat improving the weak component sitting in the driver's seat, but that not mutually exclusive! I suppose the other areas to consider are suspension and transmission. PS Robin - Craig checked and mine's got the TRD; thanks again for the kind offer though!